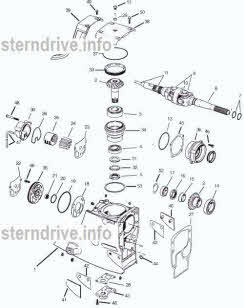 Click on any exploded stern drive drawing listed below for the Cobra I need help page made for the do it your self mechanics. Just need the upper-lower unit outdrive drawing please click on the appropriate pictures listed below. Water pump questions / answers and how to read the outdrive model number to obtain year, hp. and gear ratio. Oil filling and oil draining instructions. Often this page information is to late if your search was for repair information. 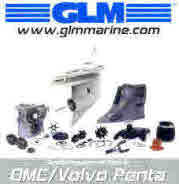 Look at PDF file of GLM Marine on line catalog for more parts help. Link located on right hand side of this page in picture. Click here for Cobra water pump removal and installation help.